When an alarm is activated, most systems will send a signal to a monitoring station. If the alarm is a mistake, it is important for the user to communicate with the monitoring station to make sure that no police dispatch request is made. 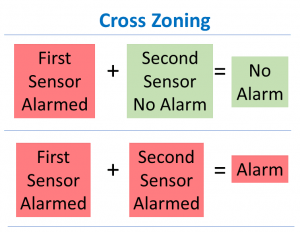 Unfortunately, the alarm system often uses the same phone line to send in the alarm signal that the user would use to call the monitoring station. This is why many alarm companies will instruct users to wait for them to call after the alarm. Some companies want users to call them as soon as the line clears. Tell the alarm users to learn what their company’s procedure is so they will be ready if they have an alarm. Users should not leave the alarm site until they have spoken with their monitoring station and assured them there is no emergency. When you make contact with the monitoring station, you will need to verify that the user is an authorized user. All alarm users should know how to identify themselves to the alarm company. If the user enters their disarm code fast enough, some systems will stop the alarm signal before it is sent to the monitoring station. Other systems may change the type of signal that is sent so that the monitoring station knows there is no emergency. In any case, turning off the alarm as fast as possible after a mistake is a good idea. Users should follow-up after each alarm to determine what caused it. Was it a simple user error or is it a problem with the system that might cause another false alarm? Users should not set the alarm system after a false alarm until the fault has been identified and rectified. Users should talk with their alarm company and take action to do their best to prevent another alarm. Users should be retrained and/or the system should be changed to address the problem. Users should make sure that the alarm company has the best phone numbers to call to reach someone in the event of an alarm. Users should make sure that their alarm company makes a second call to an authorized person (preferably a cell phone) before making a dispatch request. 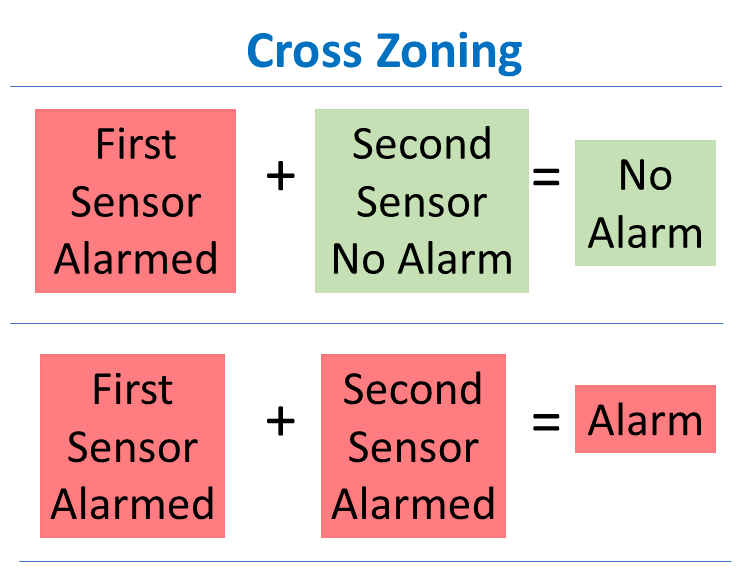 The reasoning behind cross zoning is that an actual burglar at the alarm site will trip more than one zone, whereas a loose pet, decoration, balloon or insect may not. This technique is most helpful when there is an unidentified problem with the alarm system or when you are waiting for service or repairs but still desire alarm system protection. Call your alarm company to discuss if this option is right for you. 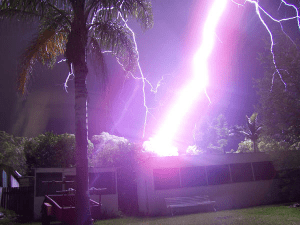 Power surges and lightning strikes should not cause false alarms! False alarms caused by lightning strikes are controllable through the proper grounding of alarm systems and the use of power AND phone line surge suppressors. Power outages or interruption of power should not cause false alarms! Use of surge suppressors greatly reduces false alarms by redirecting and dissipating electrical current to the ground. Repair loose fitting doors and windows. Ensure that all alarm contacts are firmly in place. Use wide-gap door and window contacts. Use surge protectors/suppressors on both the alarm system and the phone line sending the alarm signal to the monitoring center. Ensure that the battery back-up protection is in good working order, is fully charged and will hold that charge for a minimum of four hours. Ensure that your alarm system is properly grounded.